Are you joining us for the #kingfisherstitchalong with @talesofcloth @stitchedincolor, and @cottoneer? So whats all the fuss about I hear you ask? Well I am here to inspire you in the art of fussy cutting! A lot of people think fussy cutting is a sin and hearts the heart. I would have to say that it doesn’t always have to hurt your heart, not a waste of fabric but most of all there are no rules! So what is fussy cutting? Fussy cutting is when you deliberately cut a piece of fabric in order to showcase a picture or print within it. It is usually done using larger scale and novelty prints. The size or reason for using fussy cuts may vary depending on the project you are working on. 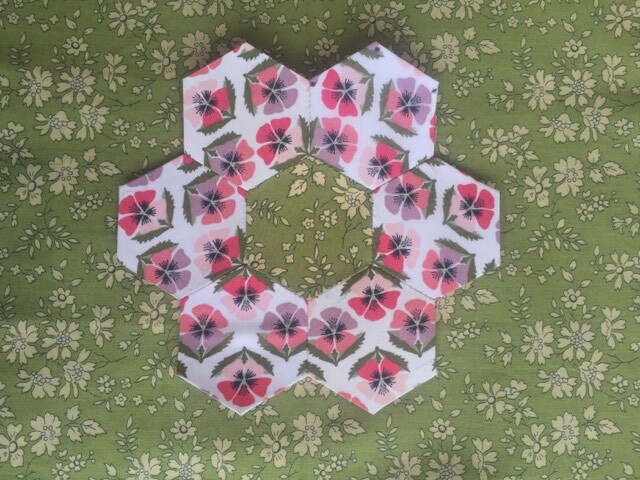 You might like to feature a particular picture or you might just need to cut fabric exactly to ensure a pattern is centred. 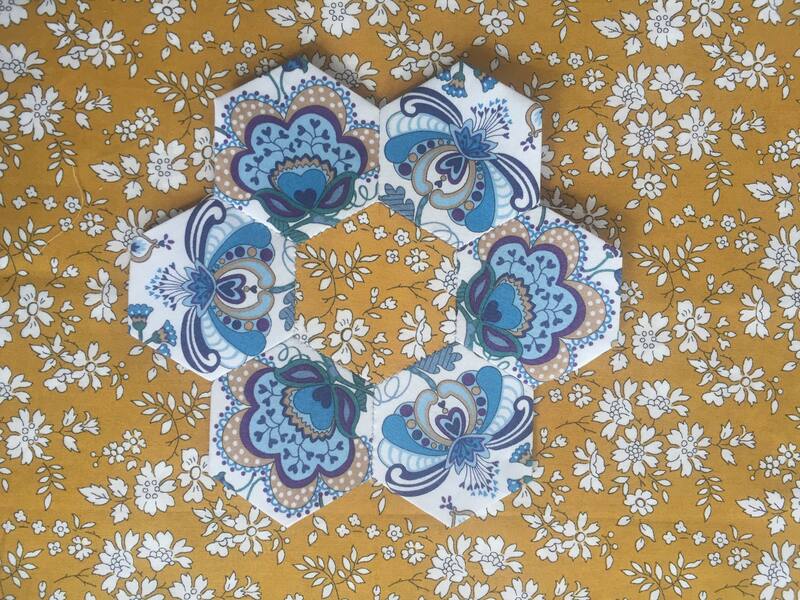 There are so many tools out in the craft world that will help you achieve your desired effect. Mirrors and templates are our must haves. Florence from @flossieteacakes has come up with a brilliant idea to help you with your templates. 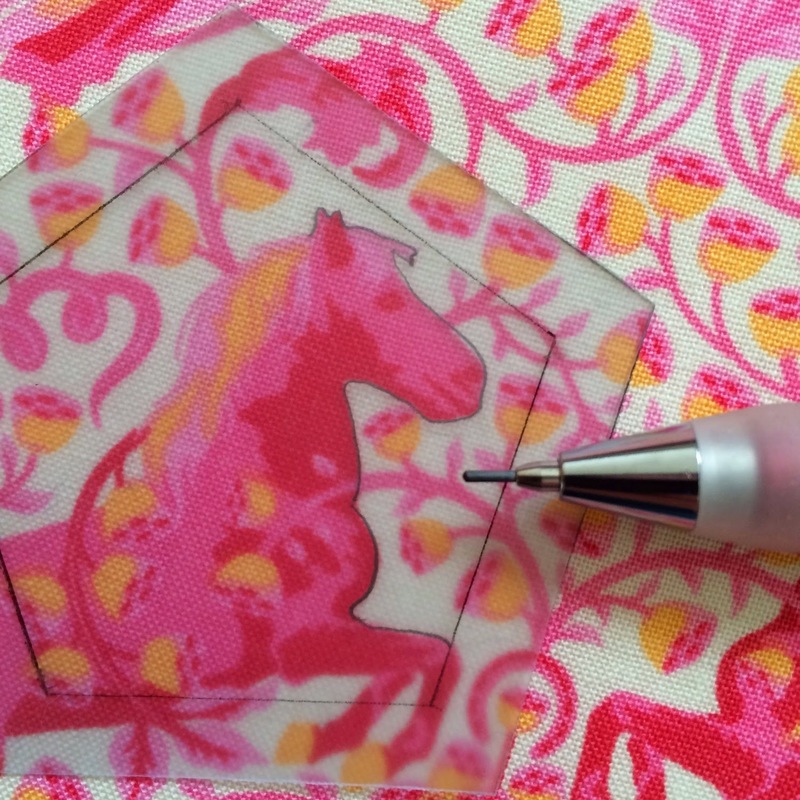 Why not draw the pattern onto your acrylic template or further more if you don’t have an acrylic template – use a good quality backing paper to trace. Here is three different ways you can fussy cut. 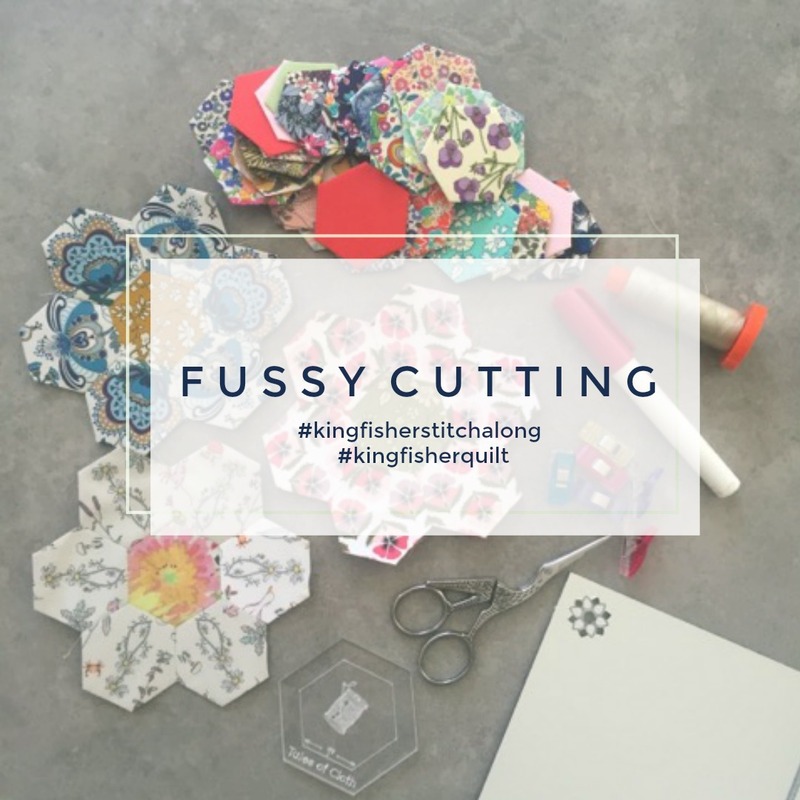 Don’t forget to share your progress on Instagram using the hashtags #kingfisherquilt #kingfisherstitch along and be sure to follow us all for your chance to win weekly prizes. Next post: Huge Welcome to Faith! 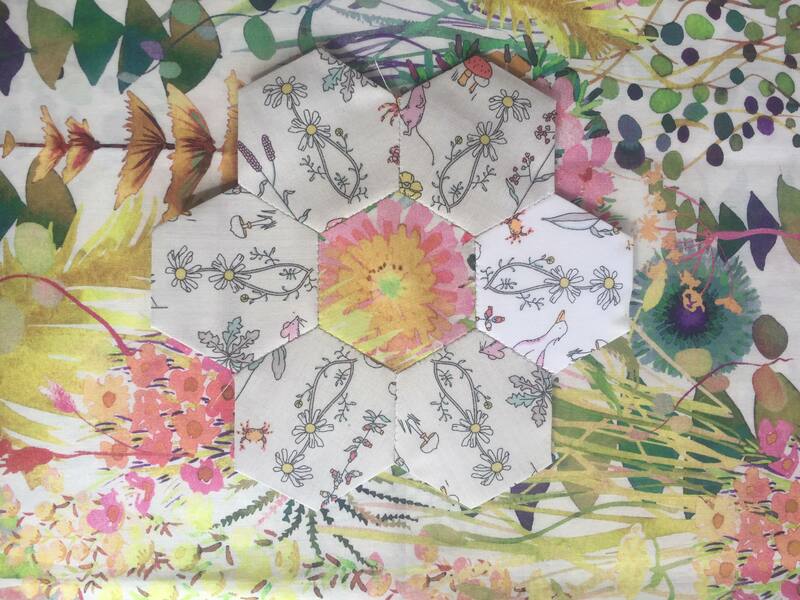 English Paper Piecing the year away ….